After a court ruling on 9 March 2018, it is now mandatory for Pakistani citizens to indicate their religion when applying for identity documents. According to the recently-passed law, hiding your religion from the authorities is considered blasphemy and betrayal. Ahmadi people are thought to be the main target of such policies as Pakistan keeps upholding discriminatory laws towards minorities, affecting both religious and ethnic minorities such as the people of Sindh, Balochistan and Gilgit-Baltistan. A Pakistani court ruled on Friday [9 March 2018] that all citizens must declare their religion when applying for identity documents, a move human rights advocates say is another blow for the country's persecuted minority communities. The ruling will pile further pressure on the Ahmadi community, who are not allowed to call themselves Muslim or use Islamic symbols in their religious practices, a crime punishable under Pakistan's blasphemy laws. "The Government of Pakistan shall take special measure ensuring availability of correct particulars of all the citizens," Justice Shaukat Aziz Siddiqui said in the judgment. "It should not be possible for any citizen to hide his/her real identity and recognition." If no appeal is launched, the court's directives will have to be followed. The vast majority of Pakistan's 208 million people are Muslims, with minorities accounting for about 3 percent of the population, according to a 1998 census. The judge "is not only attacking everybody's religious freedom in Pakistan but he is also focusing on one particular sect, which is the Ahmadis," said Human Rights Watch representative Saroop Ijaz. "A judgment like this would enable and incite violence." Last year , Tehreek-e-Labaik shut down the nation's capital for nearly three weeks with protests against the change. "All his (the judge's) specific instructions are about ensuring and finding out who is an Ahmadi," human rights lawyer Jibran Nasir told Reuters, adding that the order would automatically provide the government with specific lists about who belongs to which minority group. "Every day they are being institutionally reminded that they are a minority," he added. "It is a bigoted order." 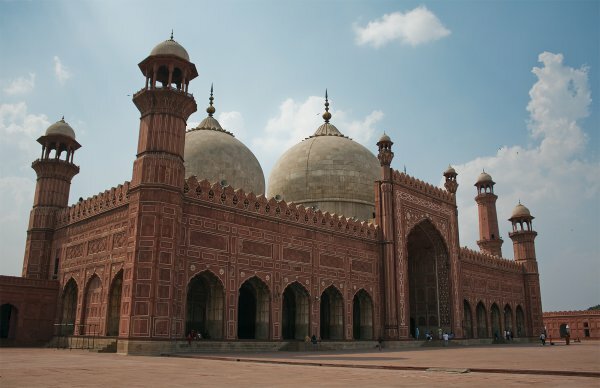 Pakistan's minority Shi'ite Muslims regularly come under attack by Islamist groups. Members of its small Hindu and Christian communities have also sometimes been accused of blasphemy.